Okay, I’m truly sorry for the really bad Justin Timberlake pun. Every skating dress that I’ve bought (and I have quite a few) has come with its own matching scrunchy. It’s only been this year, though, that my hair has been actually long enough for me to wear one; so these multiplying velveteen hair ornaments have been sitting forgotten in a drawer until now. 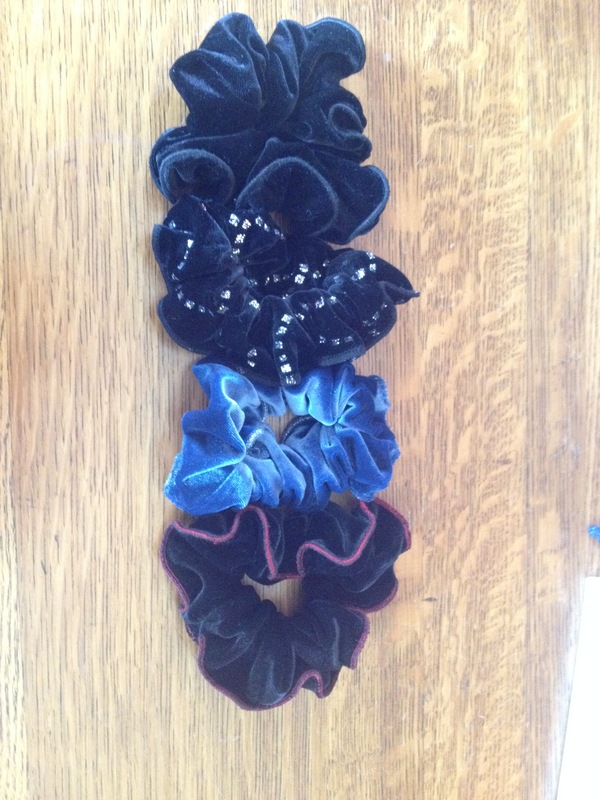 Occasionally I have dissected scrunchies for other purposes, such as decorating another dress or a paso doble jacket; having that extra scrunchy around can be so very handy! Scrunchy is also the adjective form of the verb “to scrunch,” which means either to make a crunching noise or to crumple or squeeze. Yesterday I had another session with PT Sarah, who is trying to get me to scrunch up my left side even while working on firing up my hip and adductors. This is to develop those core muscles supporting my back, so that it no longer looks like this image with the red lines. So today I had another one of those final five minute discoveries: if I really work on scrunching up my left side while doing forward left outside edges, it puts me in a great position (tailbone down! hips under!) It feels pretty awesome. It is especially great on the entry edge for the Foxtrot mohawk. Sarah has given me some great expressions, including “move your bladder back” (to get my lower back and hips in a better position) and “bite down on the left side teeth” (to help hone in on the sensation of scrunchiness). This one is definitely a keeper. I am sitting in my chair practicing my scrunchy back now. It is worth mangling Justin for! Maybe we’ll have to invent some kind of scrunchy device that will help with both jumps and back position. At very least, it will get the scrunchies out of the drawer!